For school-age children, sprains, strains, and head injuries are a painful part of growing up. For toddlers and preschool children, a common injury called nursemaid’s elbow occurs when a child is pulled or picked up by the hands, after a fall, or after swinging holding an adult’s hands. When injury strikes, Austin parents trust the Pediatric Nurse Practitioners at After Hours Kids to respond quickly and provide the expertise and compassion needed to help kids recover and heal. Appointments are available and encouraged, and since injuries rarely happen when it’s convenient, extended evening hours ensure care is available when you need it most. What are common causes and symptoms of head injuries? Serious head injuries that result in brain bleeding or swelling should be treated in an emergency room as soon as possible. This type of injury can be life threatening and should not be taken lightly. If you suspect your child may have a concussion, they should be evaluated at After Hours Kids. Any head injury with symptoms more than just pain where the child hit his/her head is likely a concussion and should be evaluated. Head injuries often happen in the evening and the Pediatric Nurse Practitioners at After Hours Kids are available late into the evening to evaluate your injured child and give you peace of mind. How do you treat head injuries? The first step in treating a child’s head injury involves gathering their health history. The Pediatric Nurse Practitioner at After Hours Kids performs a neurological exam. Usually, a diagnosis is made and the Pediatric Nurse Practitioner gives your child a detailed treatment plan, along with activity restrictions, if needed. If a concussion is diagnosed, a follow-up appointment will be recommended in 48-72 hours after injury at SportsSafe, a pediatric concussion clinic (Can we add link to SS page). If symptoms are severe, occasionally a child will be referred to Dell Children’s Medical Center for evaluation to consider imaging (CT scan of the head). What other types of injuries do you treat? Sprains, strains, and fractures are often a normal part of growing up. 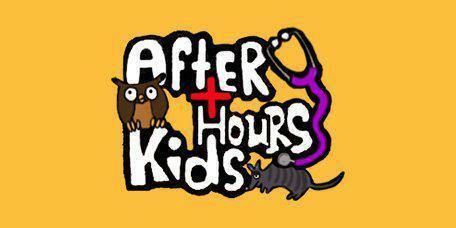 The Pediatric Nurse Practitioners at After Hours Kids have extensive experience treating these types of injuries. If a child has a fracture, initial management typically involves immobilizing the joint with a splint and treating pain and swelling with ice and ibuprofen. Since swelling following fracture can be significant, casting with the orthopedist is not done for 2-3 days after the injury so swelling can go down. If there is a fracture where an obvious deformity is noticed or bone is visualized, go straight to Dell Children’s Emergency Room or call 9-1-1. Nursemaid’s elbow is commonly seen in young children (1 to 4 years old), usually due to a ligament slipping into the elbow joint. If your child does not want to move his/her arm and you are suspecting a nursemaid’s elbow, the Pediatric Nurse Practitioners can assess the injury and use a maneuver to fix the dislocation. The maneuver itself is fast, although it will cause some pain. Immediately after the maneuver, your child will no longer have any pain and will be able to use his/her arm normally. A strain happens when a muscle gets stretched too far, causing pain and discomfort. If your child strains a muscle, the injury may feel sore and appear swollen or bruised. A sprain is an injury to the ligaments that hold bones together at a joint. Areas of the body that are vulnerable to sprains include the ankles, knees, and wrists. Sprains are common injuries during sports activities. 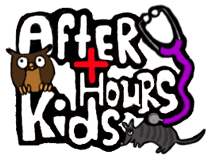 The Pediatric Nurse Practitioner at After Hours Kids examines the injured area, checking for swelling, bruising, or tenderness. Depending on the severity of the injury, your child may need to wear a cast or splint while it heals. Pain medication might also be a part of the treatment plan. You’ll also be given detailed instructions regarding your child’s activity limitations while the injury heals. If a fracture is suspected, the Pediatric Nurse Practitioners at After Hours Kids will splint the injury and schedule a follow-up the next morning for an x-ray or facilitate a referral to the emergency room.